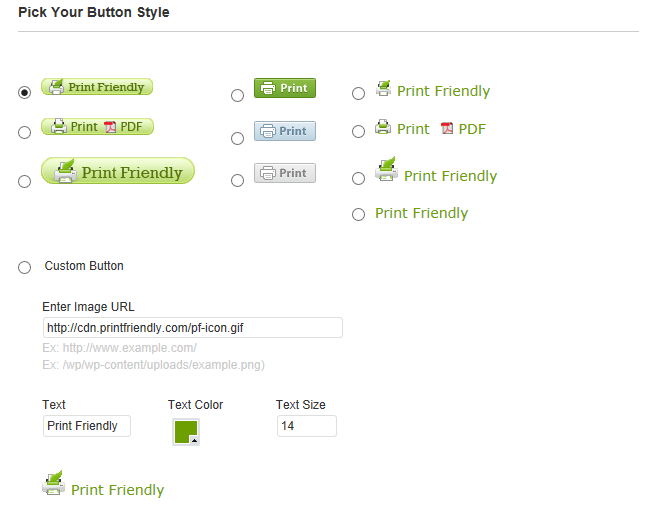 The Print Friendly and PDF plugin optimize your posts and pages for printing and lets your readers download or email a PDF version of your posts or pages. 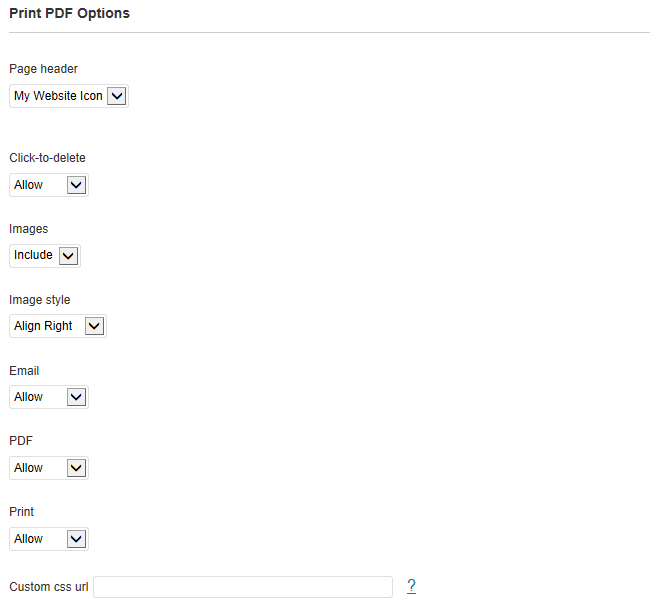 When a reader clicks on the Print or PDF icon on a post the Print Friendly and PDF options loads in a pop up window. 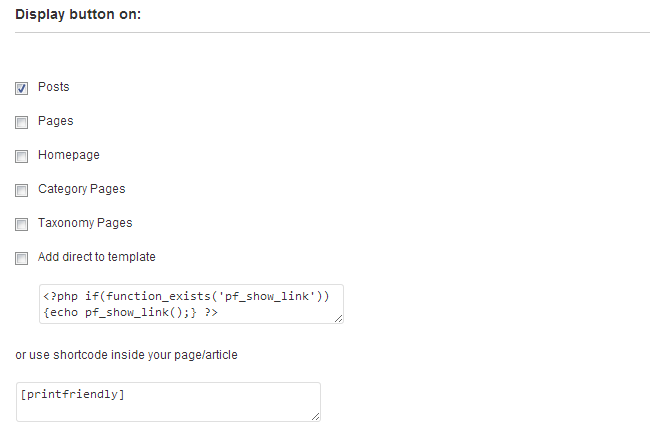 Your readers can use these options to print your post, download your post as a PDF or email your post to others. 2. Pick your button style. For example, we use the custom button option on Edublogs Help and Support to add our own custom print button to the top of support pages. Just upload your image via Media > Add New, copy the image URL and then add the image URL to the Custom button field. 3. Set your button positioning. The default is left aligned, below your post content. We set our Print button right aligned above the content on Edublogs Help and Support using the following button positioning. 4. Select where you want the print buttons to be displayed. 4. Select your Print PDF options. We normally use the default Print PDF options. 6. When you view a post you should now see the Print Friendly button displayed.